August 28, 2009 — imprint that date in your mind. 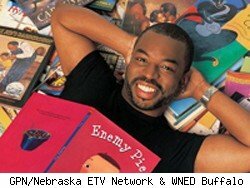 It’s the last air date for the popular show Reading Rainbow. The show, the third longest running PBS show after Seasame Street and Mister Rogers, ended its 26-year-run after funds to renew the TV show’s broadcasting rights dried up. However, funding is only part of the problem with renewing the show. Under the Bush administration, the U.S. Department of Education instituted educational policies that put a “much heavier focus on the basic tools of reading — like phonics and spelling.” The move was a response to the rising illiteracy rates in the country. Because Reading Rainbow was a show that taught kids “why to read” and not “how to read,” the show would have had to be reworked in order to be in compliance with the new policies. I’ve posted one of the most popular Reading Rainbow episodes. It’s the episode that goes behind the scenes of LeVar Burton’s other popular TV show, Star Trek: The Next Generation. Enjoy.